The West Broadway Neighborhood Association (WBNA) announced last week that the State has pulled $3 million allocated for critical exterior repairs to the Cranston Street Armory. Built in 1907, this magnificent building was designed as a focal point around which much of the West End of Providence was developed. 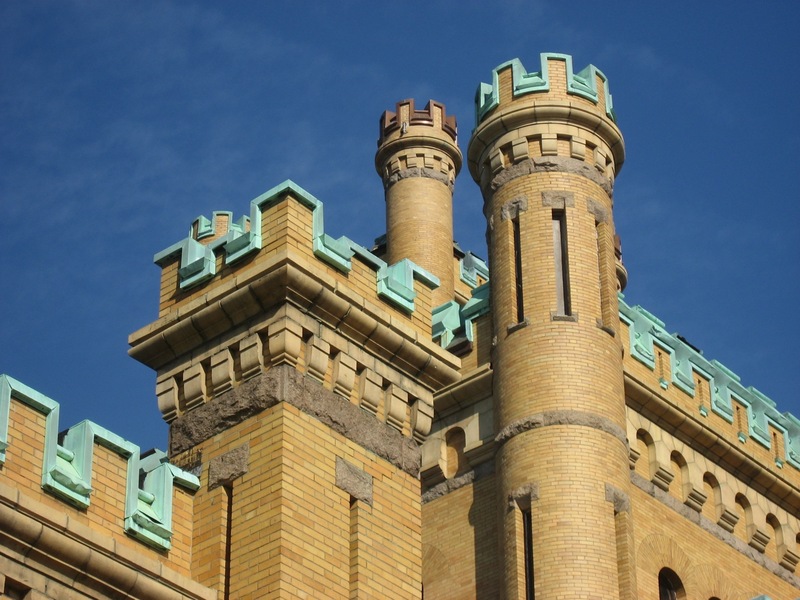 The Armory has been on the Providence Preservation Society’s Most Endangered Properties List five times over the last twenty years, and the State funds to repair the Dexter Street tower are essential to maintaining the integrity of this landmark building. According to the WBNA, work was scheduled to begin last week, and a contractor had already been hired by the State (owner of the building). This building has the potential to be a significant economic development generator for the state of Rhode Island (and the neighborhood) but only if repairs are made to it. The plans are prepared, the project was bid and the contractor hired. It makes no sense to stop the project now when all the planning work is done. Your ACTIONS could make the difference and please ask your neighbors to also act for this castle for the people. Please help WBNA and PPS advocate for Cranston Street Armory by sending an email to the officials listed below urging them to reinstate the funds for the exterior repair to the Armory.